For All The Things You Don’t Have Time For! WP-Tonic’s Concierge Services take the heavy lifting out of running an online business so you’re free to do what you do best – serving your clients. Simply make a $100 deposit* for an hour of time and our staff will be in contact with you to discuss your specific needs and provide an estimate. *However, if you are a WP-Tonic member you can buy extra individual hours at discounted rate of $75 per hour* or blocks (5 hour blocks) for ($50 per hour) to do larger development & design jobs. Here’s the deal: are you looking for a quick fix or don’t have the time to do that small critical upgrade to your membership/LMS? We have the solution, you can pay us to do the job for you! All you have to do is pre-pay for one hour, and if we can’t do the job in an hour, we give you a free quotation or your deposit back. It is that simple. 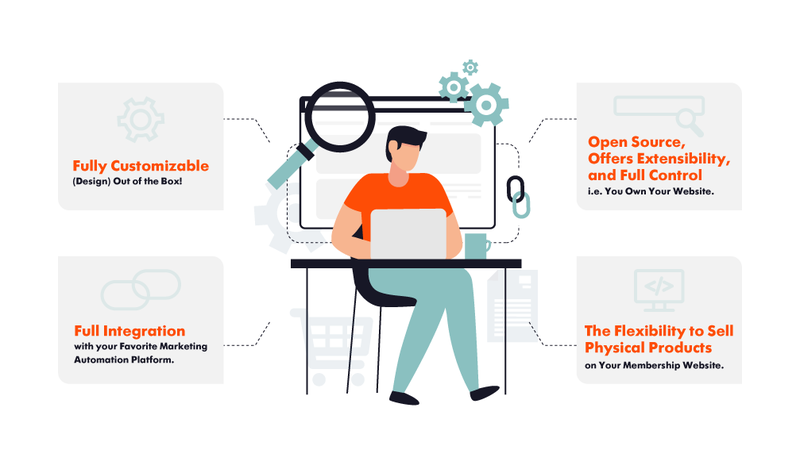 You want a functional website for your LMS and membership-based online business set up and ready to go so you can focus on delivering your services and growing your business. You shouldn’t have to spend time doing all the grunt work – like setting up a learning management system, integrating it with a CRM tool, figuring out how to host videos, and creating smooth user flows. You deserve to have a business website that runs smoothly so you’re able to spend your time doing what you love. WP-Tonic’s Concierge Service offers everything from setting up and managing the technical side of things to one-on-one training of our integrated, WordPress-powered platform. It’s everything you need to run the perfect LMS and membership website in a package! Although we offer core development services in our WP-Tonic LMS Services packages, you might need some additional help with custom development when you’re ready to grow your business or offer new features to your customers. Our development services might just be the perfect solution for you. Do you have online courses written out that are ready to be published? Let us add your course(s) to your learning management system (LMS). We’ll publish them for you, set up pricing plans and a refund policy, configure your entire course checkout page, and enable affiliates! If you’ve recorded course videos and tutorials but aren’t sure what the best way is to add them to your LMS and membership site, let us help you! Our team of experts will optimize and upload your entire collection of course videos and create intuitive playlists that your students and members will enjoy. 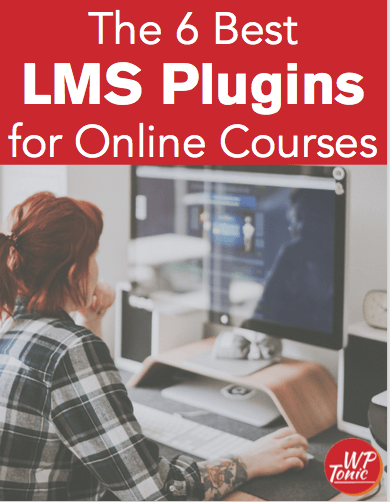 Do you have a team of online instructors, editors, managers, and business administrators that need access to your LMS and membership site’s back-end? We’ll add them to the integrated, WordPress-powered platform under individual login credentials. Each team member will have access only to the areas they need and nothing more. One of the advantages of a WordPress-powered platform is that you’re able to manage everything without relying on third-party tools. We’ll help you import your leads into our integrated, WordPress-powered platform, clean them up, and organize them into easy-to-manage lists and tags – based on your business needs and preferences. Ready to put your LMS and membership business on autopilot? Our team of automation experts will help you create “If and Then” automation rules – outside of your sequences – that are specific to your business processes. As a result, you’ll be able to do everything from running your marketing on autopilot to increasing opportunities to upsell to your students and members. Growing an online business often requires a lot of technical expertise, integrations, and custom implementations. When you’re ready to take things to the next level, we’ll help you connect your WP-Tonic account with payment gateways, third-party email auto-responders, memberships sites, or SMS systems. Get in Touch – We'll Find a Way to Help You! Help us get familiar with your business and goals and we’ll take care of the rest! Get on a Zoom with our WP-Tonic Concierge team to discuss your business needs. We’ll give you an estimate of the time and cost involved in bringing your vision to life. Ready to get started all you have to do is make a pay a $100* deposit and our WP-Tonic Concierge team will reach out to you to schedule a call to discuss your LMS and membership business needs. *However, if you are a WP-Tonic member you can buy extra individual hours at discounted rate of $75 per hour* or blocks (5 hour blocks) for ($50 per hour) to do larger development & design jobs. Here’s the deal:, are you looking for a quick fix or don’t have the time to do that small critical upgrade to your membership/LMS? We have the solution. You can pay us to do the job for you. All you have to do is pre-pay for one hour, and if we can’t do the job in an hour, we give you a free quotation or your deposit back. It is that simple.